Hubtel Automate allows you to add a personal touch to your messages. Reach out to your contacts in a more personal way. 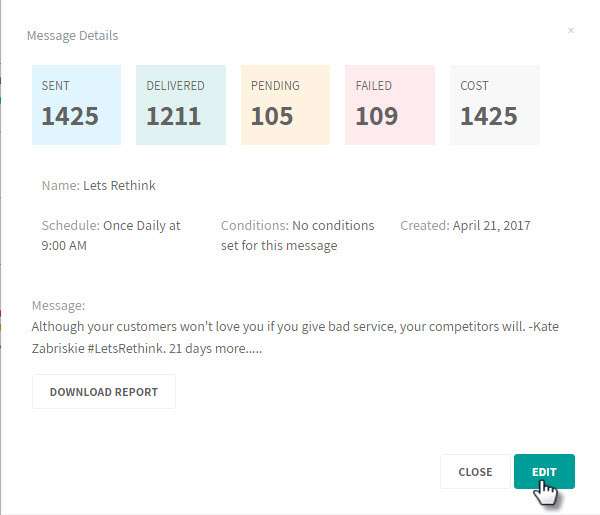 Although you send the same content to the same group of people at the same time, you can include the personal details of your contacts in the message content. Go to the CAMPAIGNS tab on the Automate homepage. 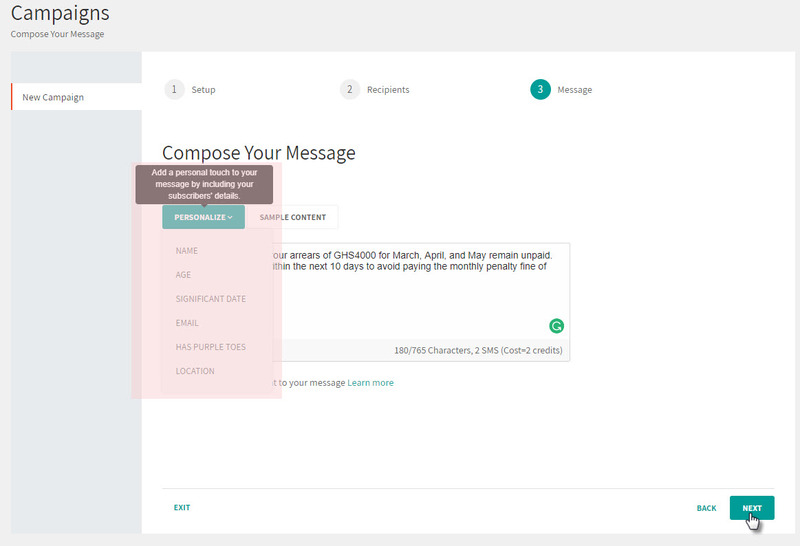 Click on the name of the campaign linked to the message you want to personalize.